Nursing is a popular career pathway that can lead to a variety of opportunities, from research to running a critical care unit to independent work. The world of nursing is changing with more complex patients and new treatments, making it a fascinating career choice. 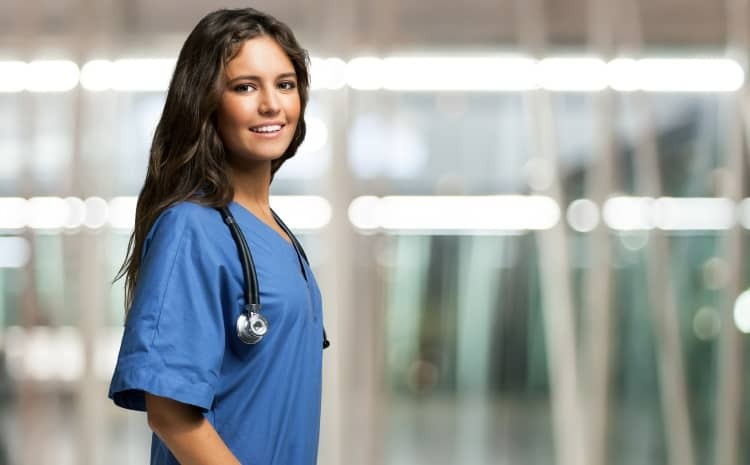 If you are thinking of becoming a nurse, here are 10 reasons to sign up for a job that brings hard work but is very rewarding. Nursing is not only concerned with the physical side of caring but the holistic aspect too. You’ll learn practical nursing skills during your training and will also gain expertise in emotional and psychological care. Dealing with holistic needs is one of the more complex aspects of nursing but, with the training and support, you will be able to support people in a meaningful way. A nursing qualification is recognized the world over and opens doors for working in a range of specialties, from pediatrics to psychiatry. For instance, you can go into teaching nursing or develop an acupuncture career. Some nurses split their work schedule between two specialty jobs. The opportunities are growing all the time, making a solid nursing qualification applicable to all kinds of sub-specialties and opportunities in healthcare. Much of the work in nursing is practical and you’ll be trained in these skills. You’ll also learn the theory behind these skills, which will give you in-depth knowledge to apply in practice. By understanding why you do the things you do, you’ll be a more competent practitioner. A nursing qualification from countries like the USA is a passport to traveling the world. You’ll find you can work across the globe and combine your nursing career with travel. If you want to work in the developing world or are dreaming of a transfer to a warmer climate, nursing is the ticket. Nurses tend to stick together, so you’ll be joining a network of professionals that form an international community. The people you meet when training will most likely end up as friends for life. You can join networks connected to your specialty or interest and share ideas. Where there are nurses, you’ll find there are connections and a shared understanding of the special work that you do. One of the surprising parts of being a nurse is that it gives you the foundations to set out and become an entrepreneur. Your qualification gives you that added credibility, so if you want to head off developing apps or set up an alternative medicine career, nursing is a good way to start. Nurses can also set up care homes, develop health products and more. Technology is an emerging subspecialty with new developments happening all the time, and can be a perfect opportunity to carve out a career pathway. Nursing offers flexible working through the shift work patterns. There are opportunities to work part-time so you can fit your family around your career. If you work independently, you can choose the hours you work. Sometimes, you’ll work during the holidays, but you can also schedule quieter days off — and vacations are cheaper during off-peak times. There are not many jobs where there is so much flexibility. One of the most rewarding aspects of nursing is the way in which nurses get to know the patients, especially in rehabilitation, caring for people with chronic disease and as part of a holistic medicine career. This unique relationship is what makes nursing so special and attracts people to the profession. There are opportunities to meet people at the beginning of life and at the end of their lives, which is a unique quality of being a nurse. Nurses make good money and, when you sub-specialize, there are opportunities to earn higher rates of pay. Working independently can secure good money too, and you can charge premium rates for niche therapies or private work. Within the nursing career ladder, there are opportunities to develop into leaders, hospital managers, project leads and even run independent businesses. A nursing career really opens doors to a world of opportunities, from developing new therapies to owning your company. One of the most rewarding things about nursing is you can really make a difference to people. Saving lives is one thing, but sometimes a holistic conversation or an introduction to alternative therapy treatments can change the patient’s world for the better. You’ll be trained in techniques to help people through the most difficult times and in getting results. Nursing is a very special career pathway and you’ll be amazed at how a small thing makes a big difference to your patients. People are attracted to the nursing profession because they want to help people and make a difference. There is a lot more to gain from being a nurse and so much to learn and do. To learn more about nursing programs, click here.